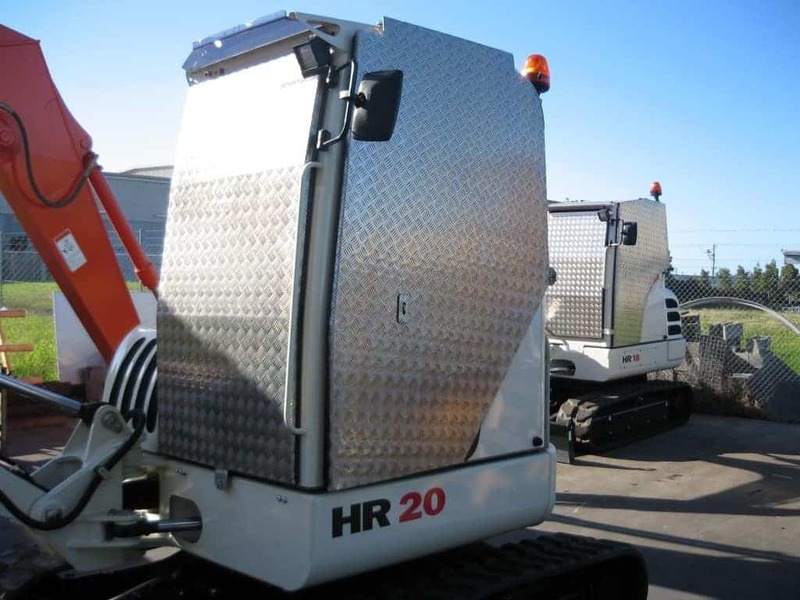 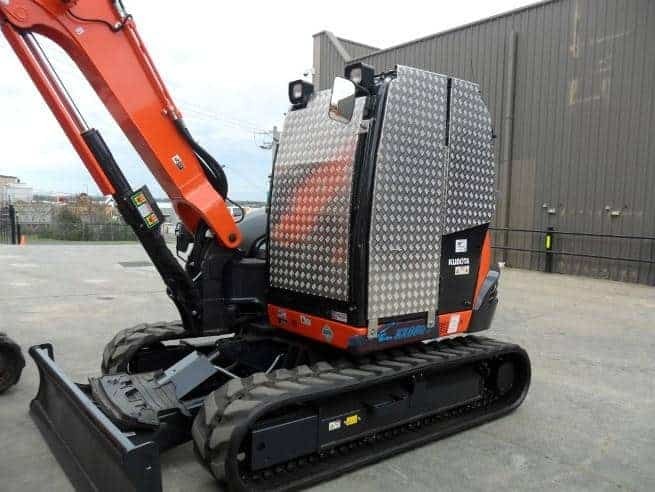 TRJ Engineering began making vandal covers for earth moving machinery thirteen years ago, when Hitachi contacted us regarding their excavators. 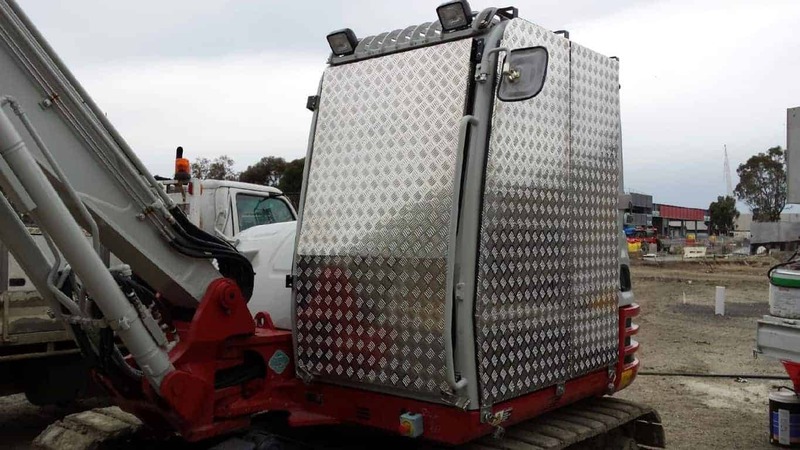 They were looking for a local company to design and manufacture vandal covers for their equipment, and this side of our business has grown steadily since then. 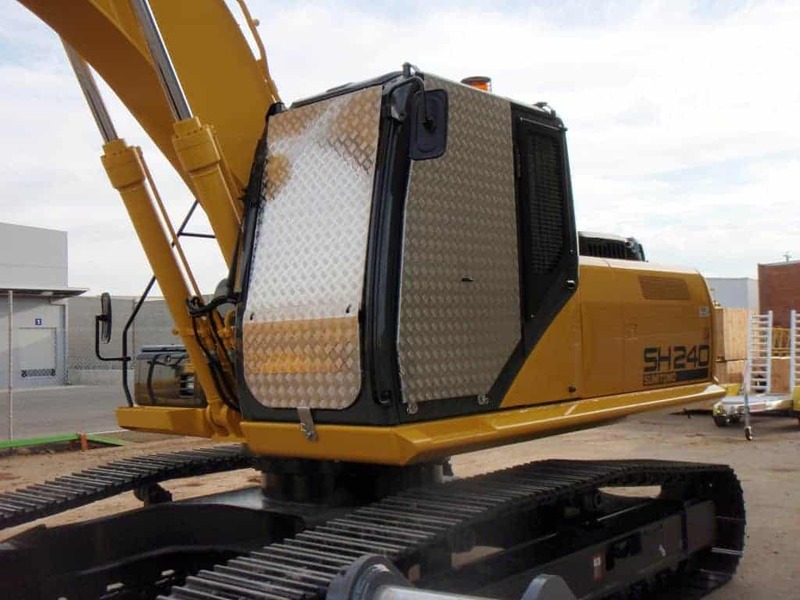 We now produce vandal protection equipment for many earthmoving companies including Tutt Bryant Equipment, Supergroups, CJD, Case, Clark Equipment, Komatsu, Kobelco, Caterpillar, Godings, Semco, Onetrak and Hitachi. 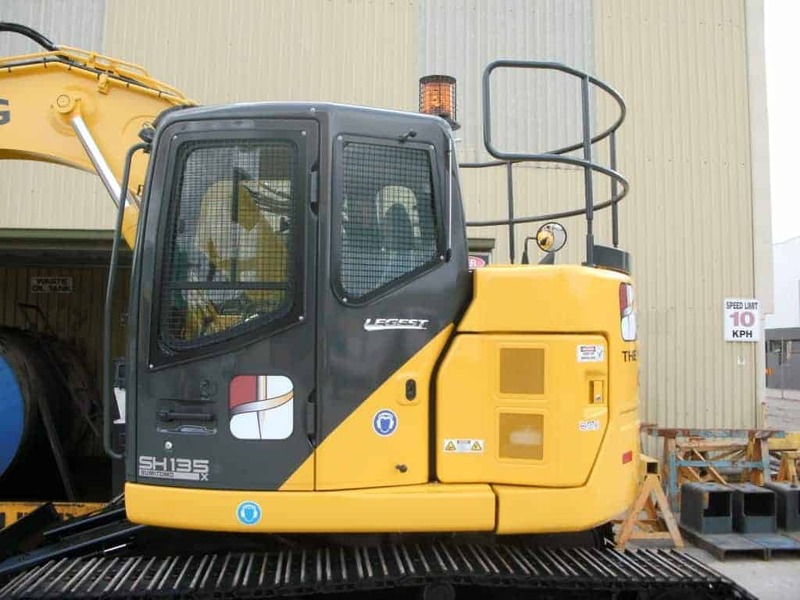 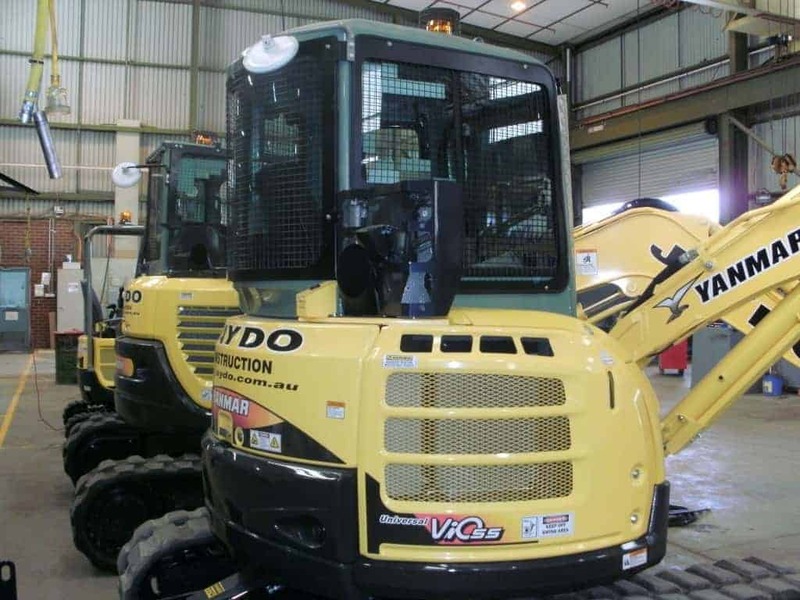 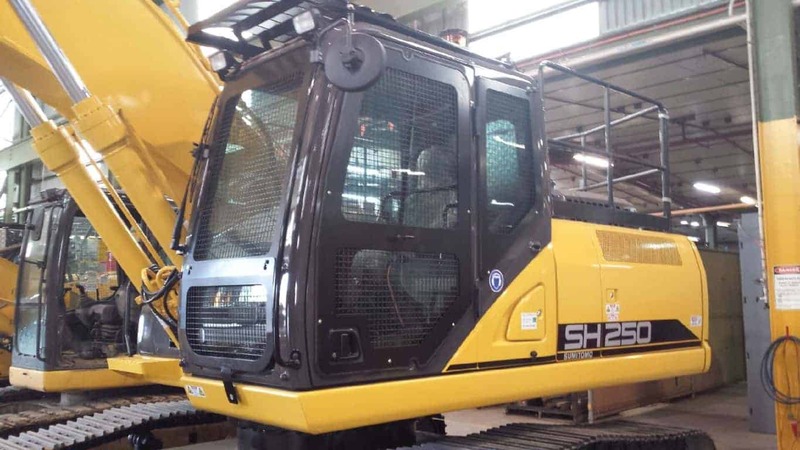 The earthmoving industry can experience large amounts of theft and vandalism, which is why we specialise in 360 degree cab protection and safety for earthmoving equipment and the people operating them. 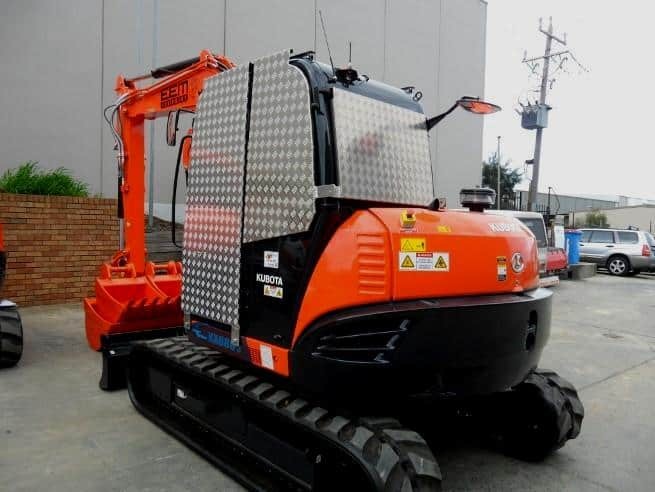 Professionally designed, manufactured and fitted vandal protection will stop thieves and vandals dead in their tracks providing business owners with peace of mind, no costly repairs and low insurance premiums. 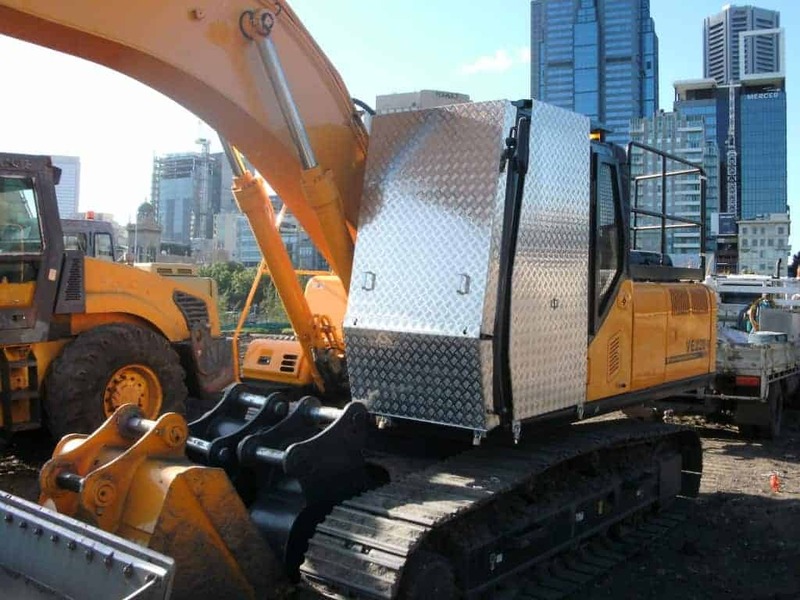 TRJ Engineering design and fit covers for all types of earthmoving equipment such as skid steers, back-hoes, graders and bulldozers. 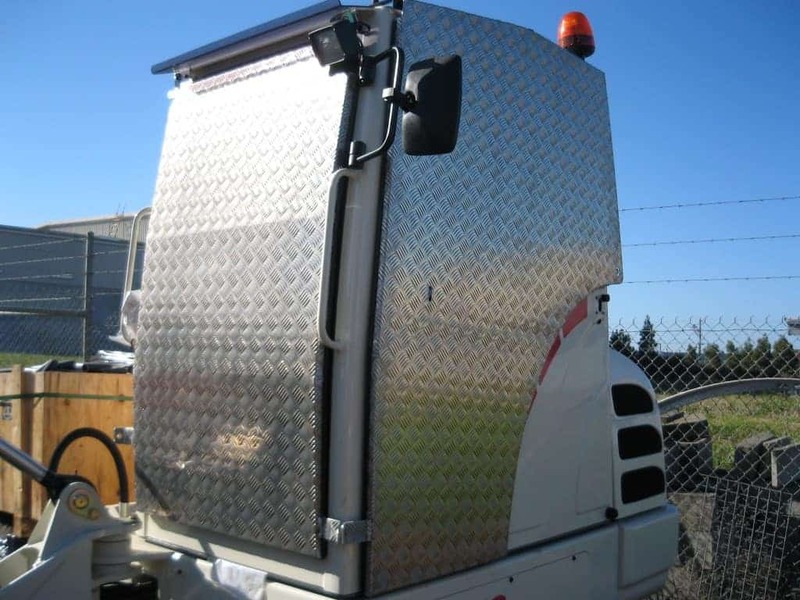 We also make smaller components such as fuel protection covers, safety handrails, rear camera covers, hydraulic oil covers, light and control covers and dipstick covers. 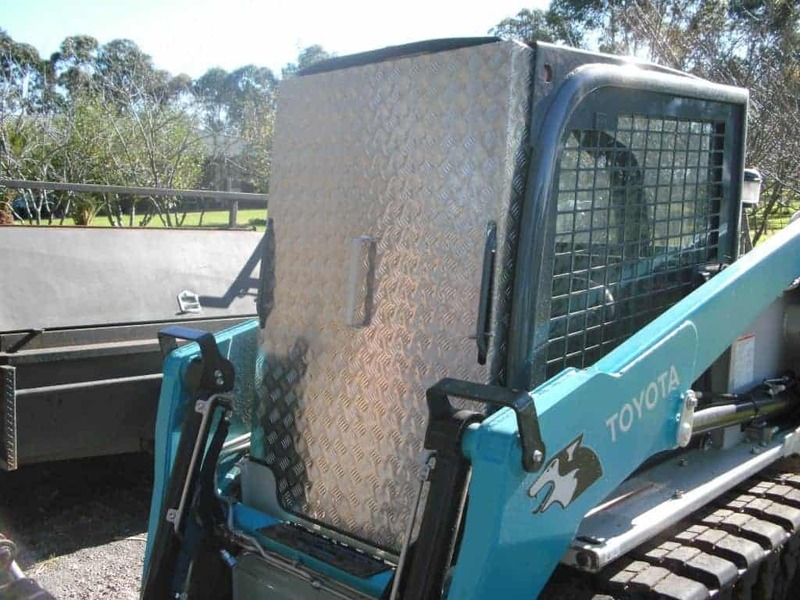 We keep a large stock of vandal covers for all popular brands and we deliver to all locations across Australia. 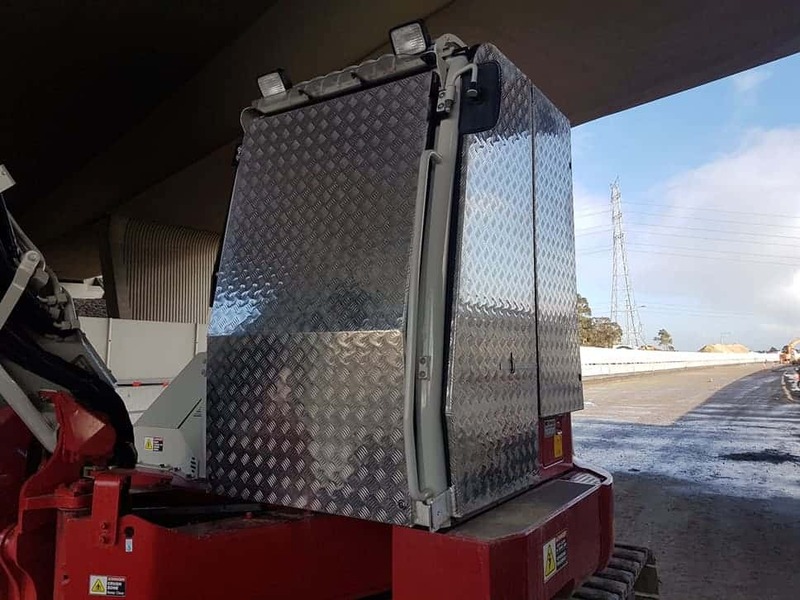 We also manufacture Demolition Guards to protect earthmoving equipment, machines and operators from falling objects when working in either demolition sites or in quarries. 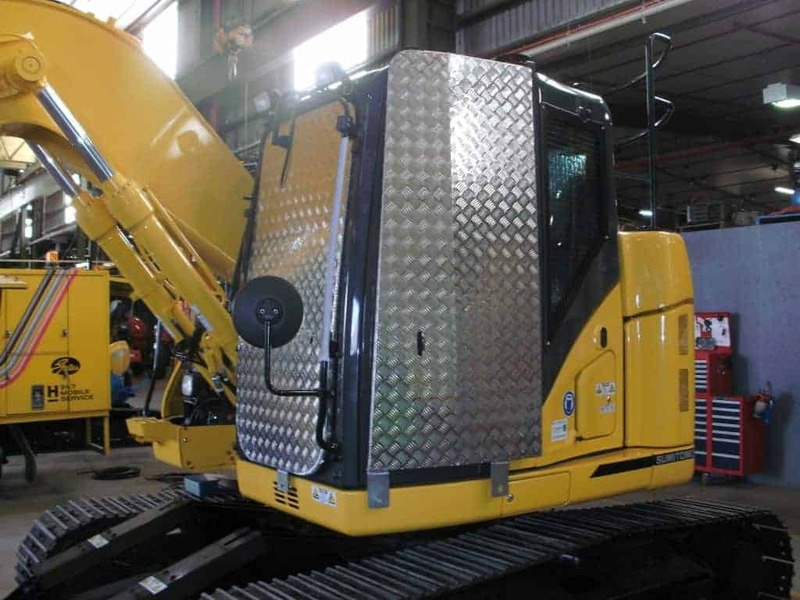 TRJ Engineering takes pride in designing and manufacturing all types of earthmoving protection and safety equipment in-house. 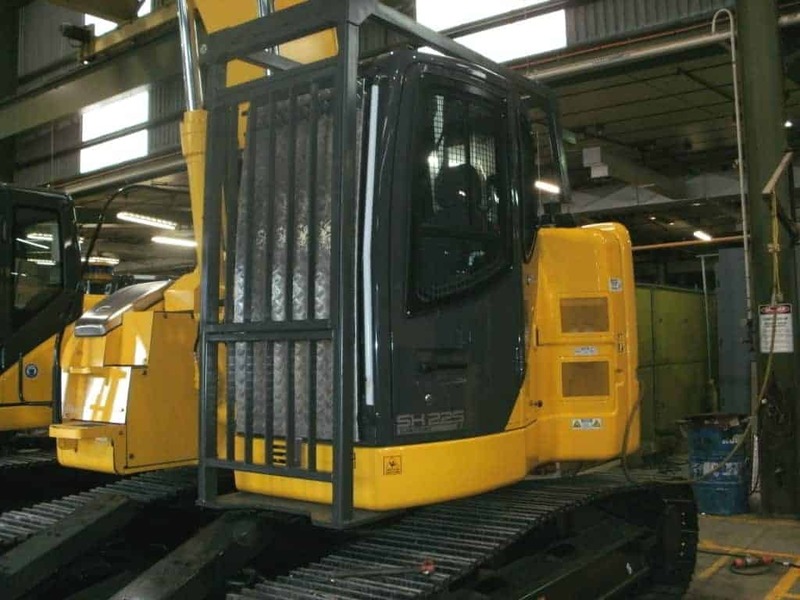 We are a quality-endorsed company to IS0 9001.